Dear gardening friends . . . do not sit your plants on the concrete path . . . Most garden centres have experienced customers coming back with plants they say have “mysteriously” died soon after they’ve taken them home or shortly after planting. “Have you ever planted trees and shrubs in your garden and wondered why they died two weeks later? Modern potting mix is made from pine bark or recycled green waste mixed with river sand. If you sit your plants on your concrete driveway near the tap they are almost doomed before you start. The concrete heats up during the day and slowly cooks your plants. (Crockpot). “As the potting mix dries out it starts to shrink leaving a gap between the soil and the pot. “When you come home from work you notice the plants leaves are drooping. When you water the plant the water runs out of the gap and your plant gets almost none of the water. Two days later your plant has been cooked even more and now the leaves are turning yellow. You water it again but this time the potting mix has shrunk even more and all the water runs out the bottom. “Twenty four hours later the plant is dead and you vow “never to buy plants from that nursery again”. So what should you do? “When you take plants home never sit them on concrete. Sit them in the garden in a shady spot. “Plant your shrubs within 24 hours of purchase. “Before planting, dunk them in a bucket of water until all the bubbles stop. This means the air in the potting mix has been replaced by water. “Mix … planting compost with the existing soil in your garden. Use this mix when you backfill the hole. “Mulch your garden with woodchip or sugar cane. This stops 70% of the water evaporating so your plants get more water. Mulch also stops the weeds from growing. Coming Up continued . . .
Five concurrent trade shows at the one venue. Asia’s largest trade shows for: flower and horticultural, garden and outdoor living, agriculture, hardware and tools. ISHS International Symposium on Organic Greenhouse Horticulture. International Symposium on Organic Matter Management and Compost Use in Horticulture. 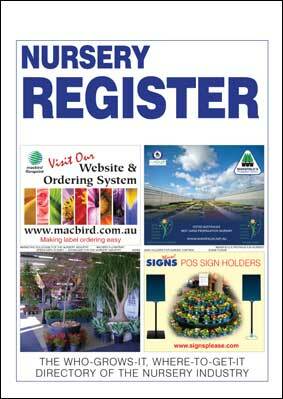 Trish Hosking talks with Nursery Industry leaders. MARCH 2013 -- One way or another the weather has made Summer trading in Queensland very challenging. Executive Officer for the Nursery and Garden Industry Association of Queensland, Donald Scotts, says Cyclone Oswald wreaked havoc in the southeast of the State at the end of January. And this came on top of rain all year in that region. NGIQ has been battling to get assistance for those in the industry worst affected, and Donald is pleased with the outcome, with qualifying businesses entitled to a $25,000 grant and low interest loans of up to $600,000 at a rate of 1.7%. The package combines State and Federal aid. While it will be administered by the State, Donald says it’s actually 80% Federal money and 20% State. He suspects most nurseries won’t pick up the full loan, but a percentage of that is also a grant. Industry Recovery Officers have recently been appointed for each of 12 sectors affected by the cyclone – cane, dairy, sugar, cotton etc. NGIQ employs the IRO tasked with assisting nurseries, with the Association receiving a Government grant to cover all of their costs. Donald says that person will be out in the field providing advice to members and helping them apply for the grants and loans available. It is the wet weekends that impact most severely on the trade. Donald says a few showers are fine, but very wet weekends don’t do anything for retail, and if retail is not trading then production is not selling either. He notes the landscape sector is suffering as well, with little landscaping activity at the moment and many of the projects that are under way delayed by the wet. Donald believes a number in the Queensland industry are seriously reviewing their operations, looking at the numbers and questioning the wisdom of continuing in business. “We’ve had one potting mix company, probably the third largest in Queensland, close. He simply got to the stage that he felt he was putting too much money into the business and not getting the return. He’s deliberately closed; he hasn’t gone belly up or anything. Masters are now a player in the State. Even though they only have a few stores at this stage, Donald says there are more coming on line and like their chief competitor, Bunnings, are demanding their 3, 5, or 8% discount off the grower’s standard wholesale price, even 15% in new stores. And Donald says nurseries simply can’t afford that. Turning to what is selling in the way of green goods in Queensland, Donald believes it’s pretty steady across the board, with the exception of Australian natives. “Outside natives are not moving as well because people’s blocks of land are reducing in size. And to end on a positive note, Donald says the myrtle rust (see ComHort June/July 2012) many feared would see botanical gardens and parks wiped out, is not causing the problems that were anticipated. He says the rust is well established in most areas of the State now, and in an intensive nursery it can be quite devastating, but most nurseries are treating their stock when they’ve got it and are not too adversely affected. MARCH 2013 -- A woman who had her own successful landscape design and construction business is now Chief Executive Officer of the Nursery and Garden Industry Assn of Western Australia, NGIWA. Esther Ngang assumed the role early last year and is also Executive Director for the Landscape Industries Association of WA, LIAWA, a position she has held for five years. Esther says similar associations work closely together around the world and she is endeavouring to make that the case in WA. She is envious of the combined NZ nursery and landscape conference taking place in Queenstown this year, and hopes to stage a similar event before too long in her region. “It just makes sense,” she says, in part because it opens a better dialogue between growers and end-users. Esther feels plant supply in WA is generally not an issue for most landscapers who tend to use the same core lines – magnolias, dracaenas, yuccas, frangipanis – in their work. Where it is a problem is with those designers or landscape architects who seek to be a bit more creative in their projects. Ester feels the landscape industry generally could benefit from greater familiarity with planting options; ironically, she says plants aren’t even a compulsory unit in a landscape architect’s professional studies. The landscape sector is also often poorly informed about new plant releases or changes in growing methods. Esther recalls a landscape architect’s plans coming through to her own business only two years ago, specifying pot sizes that were no longer industry standard and a lawn growth type that had been unavailable through major suppliers for several years. These factors, Esther believes, make working toward a closer relationship between LIAWA and NGIWA members all the more compelling. Currently Esther says the landscape industry in WA reflects the economic activity in the State, with those operating on the commercial side doing well. “Mining towns are still trying to do the right thing, so there’s still money going in there. And there is a lot of pressure in the metro areas to have active public open spaces - lawns and trees etc. Landscapers in those areas are still very busy.” She says some may tell you it’s quieter than maybe four or five years ago, but in comparison to other Australian States, Esther believes they have plenty of work. On the residential side, she says it is divided, with those landscapers and contractors focused on medium to high end new homes, happy. “Those people (their clients) still have money and they still like to engage the professionals to do it right, to do it well and to do it savvy. At the lower end, Esther says the building of project homes, with gardens designed and installed for anything from $5000 to $20,000 slowed around three years ago with the global financial crisis, and landscapers relying on that trade have struggled. “This is in part because clients in that market are now more likely to take on a diy effort, or builders have reduced the landscape packages offered to their clients. 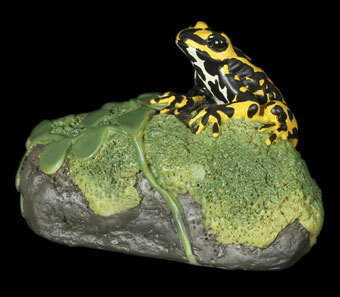 April in WA sees NGIWA presenting the 42nd annual Garden Week. The five day event showcases garden, landscape and outdoor living, and Esther says it is typically the point in the year where the industry starts to recover after Summer and gear up for Spring. This year there is an inaugural collaboration between six associations – nursery and garden, landscaping, horticulture, irrigation, turf and compost – presenting up to four landscape concepts at the show. Esther says the key message of this joint promotion is ‘choose a professional’, with the aim to present what could be designed and installed in a backyard, but emphasising the importance of using professionals to design and implement the work: using their skills to come up with the best design for each home, with easier maintenance around water restrictions, wise plant choices and lawn survivability tied to appropriate irrigation and soil improvement. This Summer in WA was very hot, as it was through most of Australia and, Esther says, not surprisingly homeowners weren’t that keen on gardening or buying plants, which has had an impact on both nursery and garden centre trade. She notes some nurseries in the State are focussed on supplying the big companies – those with buying and distribution power -- but not specialist garden centres. 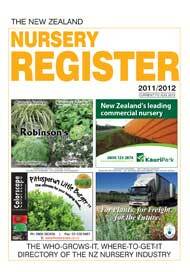 “For some nurseries it’s a good thing, to be able to trade in volume, but for others they may be limited, in terms of margins.” Esther points out that WA currently has a limited number of independent garden centre chains operating in a collective buying manner, and this is a challenge for growers and industry suppliers alike, in terms of wider options for their products. An over-reliance on social media to promote themselves may also be a retrograde step, she believes. Esther does concede that social media works for some businesses. In certain suburbs where there is perhaps a core of the older generation, an older style garden club membership still works best, but there are some garden centres elsewhere that have successfully used social media and are drawing people in that way. It’s about getting the balance right. “The interesting thing is we have a member in WA that is one of the most successful on-line garden centre businesses for the whole of Australia, called Plants4Perth. They have an amazing number of Generation Y and Generation X members that have no time to pop into the garden centres, or in fact may have relatives from overseas or inter-State that are keen to get plants delivered to their relatives in WA. Esther says garden centres, including some of the newer ones, need to put more effort into drawing in the younger generations by way of interior design, placement of items, creative features, or the placement of plants with pots and sculpture and accessories. She says it’s not just the baby boomers or retirees who want to visit garden centres, and that is definitely not the prevailing demographic where some are situated. The message to members from both NGIWA and LIAWA is to seek out new opportunities in non-traditional areas and think laterally -- and embrace the younger generations as customers with spending power. JANUARY 2013 -- Craig Norman has two perspectives when he speaks about how things are going across the Tasman -- that of his own business and that of the national scene from his vantage point of President of the Australian NGIA. In terms of his own business he says it’s probably the best year he’s ever had; but nationally, he says the results are really mixed, depending on where you look. Craig is MD and owner of Wholesale Plants and Products, a wholesale horticultural market on the northern fringe of Adelaide that supplies plants and allied products to the landscape and garden industry throughout South Australia and beyond. His business is strictly wholesale with landscapers his major client group, but he also supplies florists and retail-based garden centres; basically anyone who’s dealing with a horticultural product. That continues to be one of the business’s strengths. And he says his location is easy for his customers to get to. While he would love to expand, his present site doesn’t have the space to do so, but moving to another location wouldn’t be as convenient for his clients. Looking at the national picture, and with his own business having what he describes as a “huge” season, Craig says it can be difficult to understand why others aren’t faring so well. “We try to analyse it as a board at NGIA and we can’t.” He says there are pockets around Australia that are doing really well, but some in the industry are struggling. Craig says the landscape industry is also reporting mixed messages, with some saying it’s the quietest they’ve ever been, and others trumpeting their busiest six months on record. He says he’s tried to analyse whether it’s specific landscapers – their knowledge or their workmanship – but even those he’d rank as A-class are having mixed fortunes. In part this may be because the commercial landscape scene is suffering from a lack of new projects, reflecting the impact of the economic downtown, and Craig says some commercial landscapers have folded. But he believes others doing domestic work have seen their work increase probably threefold. There is however significant competition. Even so, he notes very few landscapers advertise, even in the Yellow Pages, relying instead on word of mouth referrals. Craig says landscapers and perhaps the TV garden programmes are leading a nationwide swing back to old-fashioned gardens, with lots of colour and a vege patch. Cordylines and flaxes morphed into dianellas and lomandras, but now flowering plants are in demand. JANUARY 2013 -- The ceo of the Nursery & Garden Industry Association of Victoria, Euan Laird, says the temperatures blasting Victoria in January came as a shock. The State hit with what he termed a very sudden, very dry spell of extreme heat. Euan feels the industry had been enjoying an average to above-average season to date. Crucially the weekend weather had been good and people have been getting out in their gardens plus there was moisture in the soil. Christmas trade was also good. “So it’s been a real sudden shock to the system I think. Toward the end of January there were still no water restrictions in place. “Our water storage is probably in the best state it’s been in for three years. So it’s a really odd mix of circumstances right now. Meanwhile, the picture in NSW is much the same. Sydney sweltered with a record-breaking temperature of 45.8 deg C on 18 January, though Nursery & Garden Industry NSW & ACT Business Development Officer, Bob Wynyard says it was even warmer in the west of the city -- “about 46.5 I think”. The scorching heat follows an extended period of exceptionally widespread hot weather for Australia in which the nation experienced its hottest day on record on January 7, with the country’s average maximum temperature hitting 40.33 degrees. The extreme weather, which has exacerbated bushfires, also saw the government's weather bureau upgrade its temperature scale by introducing new colours to cover projected forecast highs. At one point in mid-January, central Australia was shown with a purple area on the bureau's forecast map, a new colour code suggesting temperatures were set to soar above 50 degrees. Bob says the sheer intensity of the sun is giving some garden plants a hard time. Bob has also noticed shrubs like camellias getting scorched and says anything that’s sent up new shoots in the last week or so would’ve been pretty well torched up. But the effect of the heat on garden centre trade has probably not been too noticeable. Bob says January is traditionally a quietish time for them anyway and he has the impression that many people are still away, out of the cities. Bob was not aware of any nurseries in NSW or ACT being directly impacted by bushfires when he spoke to us towards the end of January, but he says he’d be surprised if there hasn’t been some damage somewhere. DECEMBER 2112 -- “Generally retail is still very soft,” according to Robert Prince, ceo of the Australian NGIA. Robert says the Australian Reserve Bank hasn’t moved on interest rates, which are still higher than NZ’s, and there are increased costs coming through in such things as electricity, health insurance and water. Reflecting on Spring trading, Robert notes the significant impact the weather has for most in the horticultural industry, whatever the prevailing economic situation. But while nurseries and garden centres in most States currently have plenty of water, Robert is cautionary. “One of the things I think people haven’t recognised is if you use lots of water you pay more for it. Water’s not expensive in its own right, but pumping water is. You’ve got the energy cost.” Businesses need to factor higher power bills into their costings, along with everything else that has increased. Robert says Queensland was faced, up until a couple of weeks ago, with not having had any rain for 5-6 weeks, so it was warmer and drier, but mid-November brought some severe storms to Brisbane and northern NSW. Victoria was cool and wet through August, September and October, so things were a little bit slower there than expected, but daytime temperatures nudged 30 degrees and a series of glorious weekends in NSW and South Australia in late September had garden retailers reporting the best year for a while. One problem many faced was a lack of stock, particularly early season colour. Robert believes that was in part due to the cooler weather in Victoria where a number of large nurseries are based. With things being a bit cooler there, plants were delayed and slower to come into flower. As in New Zealand, the major home improvement chains are key players. There has been a lot of activity from both Bunnings and Masters in particular. Masters opened another Sydney store on 17 November, so Robert went along for a look and found four to five nurseries instore actively promoting their products. Robert says the place was buzzing with lots of stock going out the door. He feels that Masters are leading the way in utilising grower-point-of sale instore, which is something Bunnings don’t have. He is unsure how growers and landscape contractors working with revegetation projects in the mining industry are faring, as the industry has limited contact with this sector. APRIL 2012 -- Seven years of drought have taken their toll on the nursery industry in South Australia, and even though this year has seen a return to more normal rainfall, Geoff Fuller, ceo of the Nursery & Garden Industry Association of SA (NGISA), feels the industry has been a victim of its own marketing. Initially, many of the State’s nurseries responded to the drought by growing more natives, but Geoff says that wasn’t the answer. “So we did a couple of surveys with the local ABC to get the public’s view of what was growing well in their gardens and what was dying. So the growers switched tack again, promoting solid plants that were informatively labelled and could still retail at a price that wouldn’t break the bank. Geoff says that seemed to work. And retailers concentrated on promoting the water conservation message. “NGISA worked in with SA Water on our major campaign, based around mulching and improving soil structure. We pushed drippers and proper dripper control.” The SA Government lifted water restrictions last November, but Geoff says whenever there’s a big spike in water use it is still the home gardener held to account. Roadside revegetation projects have contributed to the recent opening of a couple of large production nurseries in the State. Geoff is a little surprised by their arrival, believing that existing nurseries were supporting the landscape industry very well. However, the newcomers are arriving on the back of interstate companies picking up contracts on major roading infrastructure projects. “They’ve only just started, but I think they’re setting up so that they have continuity of supply.” He suspects that part of it may lie in the numbers required and the product mix, both outside of what was able to be secured locally. He comments that revegetation historically has not been a major earner for nurseries in the SA. Education is a key focus of NGISA. Their office is on the TAFE School of Horticulture campus and Geoff says they have a lot of input into the curriculum. Geoff explains that his team stress to the students that ours is not a high-paid industry. “We tell them it is however, one you will get absolute enjoyment out of. One thing we do tell them is that our industry is still family-based in the main, and that any advancement in the early years is often just not possible because the sons/daughters are there; Mum and Dad are still controlling things.” Geoff says the message is one of patience. “If they’re prepared to bounce along in middle management and enjoy life, they can have a wonderful career. “We are struggling to get trained retailers. The public are asking a lot more questions, wanting to know more. In the past if something died, it was ‘oh, it’s my fault.’ Now they will query. We’re encouraging the queries, but getting those people trained is long term.” This is being addressed but Geoff says it will be a while before the first graduates hit the shop floor. Geoff understands that the news of Masters imminent arrival in Mt Gambier may have already forced the closure of one of the Mitre10s. Geoff does believe the early signs of an upturn in the economy are now there. “Everything in South Australia has been slow in real terms. The glory days are gone – we’ll never get back to what we had – but in balance, I think we’re getting there. We’re still positive that it will pick up slowly but surely. A recent survey shows that 41 percent of Germans say the garden is their favourite place to spend their time in Summer. They are also willing to give up a few things in order to enjoy their own bit of green space -- 52.5 per cent said that during the warmer months they would be willing to give up television in favour of spending time in their garden, and almost 42 per cent would even give up their sofa. Organisers of the big Cologne trade fair spoga+gafa, held last September, included these facts in their pre-show publicity, saying it bodes well for companies selling items for the outdoors. The trend toward high-quality products continues to get stronger, they say. Casual, cool lounge creations, chairs and easy chairs with delicate latticework, and outdoor furniture that has an indoor feeling are all becoming increasingly popular. Younger consumers in particular are looking to “chill out” and relax outdoors — but things have to be chic. So for the 2013 season, manufacturers are presenting casual, cool lounge sofas and playful creations which invite people to just “hang out.” Furniture boasts quality materials and elegant designs without giving the effect of being too formal. The trend colour for next season will be blue. The boundaries between indoor and outdoor are becoming more and more blurred. Outdoor furniture is now being made in typical indoor forms, rocking chairs for example, and uses materials indistinguishable from interior textiles. Manufacturers are also offering stylish garden houses, rainwater tanks that have the look of expensive stonework. Registrations have opened for the International Garden Centre Association Congress, this year to be held in Melbourne, October 6 to 11. There will be a pre-Congress tour around the ‘Surf Coast’ of Victoria, and included in the Congress will be visits to local garden centres, the Royal Botanic Gardens at Cranbourne, the Victorian Trade Day, Warner’s Nursery and a propagation nursery, plus the usual social events. For more details visit www.igccaustralia2013.com or contact Leigh Siebler on 0061 3 9889 545. In a newsletter to shareholders late last year, Woolworths noted that 15 Masters stores had been opened by the end of June 2012, and that of the 150 sites it planned to secure over five years, 112 were already in the pipeline. Masters also launched Australia’s first on-line home-improvement store in June, with a reported 10,000 visitors a day. The UK had an especially wet Spring and early Summer last year and both nurseries and retailers were trying some innovative ways to get sales moving. In an effort to attract foot traffic on wet days, North One and West Six garden centres in London were offering customers a 10 percent discount on all purchases made on rainy days. Growers and retailers also introduced a “Summer is the new Spring” campaign to tell consumers it’s ok to plant during the warmer weather. Online sales for garden products in the UK grew to an estimated £220 million last year and will almost double to £400 million by 2016, according to a report by research group MarketResearch.com. The report says the internet now accounts for around 5 percent of the overall UK garden products market. It says in recent times many store-based retailers have recognised internet retailing as a growth area and developed transactional websites whereas initially the internet garden products market was mainly serviced by small specialist garden products retailers trading purely on the internet. The report notes that the trend to grow-your-own has helped to underpin the general garden market in recent years, with the horticultural, tools and leisure sectors benefiting in particular. Landscaping city streets with living walls could cut pollution by up to 30%, far more than previously thought, according to scientists at Birmingham and Lancaster universities. The research showed that: “Green walls emerged as clear winners in pollutant removal. Street trees were also effective, but only in streets where the tree crowns did not cause pollution to be trapped at ground level. Government figures estimate the number of premature deaths in the UK caused by outdoor air pollution at between 35,000 and 50,000 per year. Seven million front gardens in the UK have been dug up and paved to provide car parking, according to a recent study. The study showed 26 million homes in Britain have a front yard but councils across the country are receiving tens of thousands of consent applications each year from people wanting to turn them into parking areas. A new business is getting under way in Australia offering garden centres a range of videos that are triggered when shoppers scan a QR code displayed beside plants or products. The videos can provide more information about the merchandise or maybe direct customers to complementary add-on sales like fertilisers or growing media. The possibilities, owner Cam Burton believes, are wide open. Cam is a self-confessed plant nerd. The Brisbane landscape gardener did his apprenticeship working for his cousin, well-known Melbourne Royal Botanic Gardens landscape architect, Andy Laidlaw. A particular passion for Australian plants led Cam to environmental organisation, Greening Australia, where he currently trains workers in their Queensland nursery. It was in engaging his students this way that Cam found the inspiration for his new business. “It’s all going to be video and it’s all going to be on these smartphones. Everyone’s going to carry one of these around. There’s no turning back.” So Cam went out and learned all about filming and editing and began to build a library of short video clips on various plants. And Cam says he would happily work with anyone in NZ who might be interested in what he has to offer. The website www.floraflics.com shows some of his work to date.